FANTASTIC VALUE IN GILBERT AT $270,000! 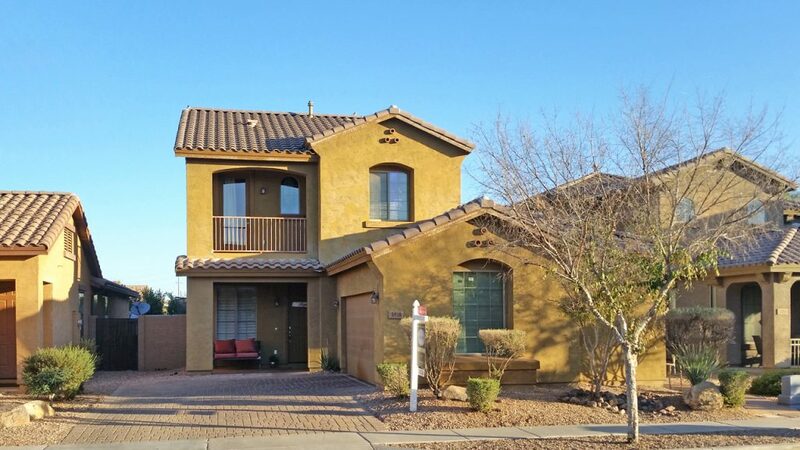 Beautiful 1,767 sq ft, 3 bedroom, 2.5 bathroom home in Gilbert’s popular Pecos Manor community. Features tile throughout, formal dining, and open family room with elegant stone entertainment niche. Bright island kitchen with quartz counter tops, stainless steel appliances, pantry, ample cabinets, and breakfast bar. Spacious master suite with big walk in closet, separate shower and soaking tub, and dual sinks. There’s also a walk-out balcony, 2 car garage, and gorgeous backyard perfect for entertaining with covered patio, extended sitting area, and lush low maintenance landscaping. Close to neighborhood schools, ample dining and shopping, and easy freeway access. It won’t last long at this price and location, so call today for a private tour.